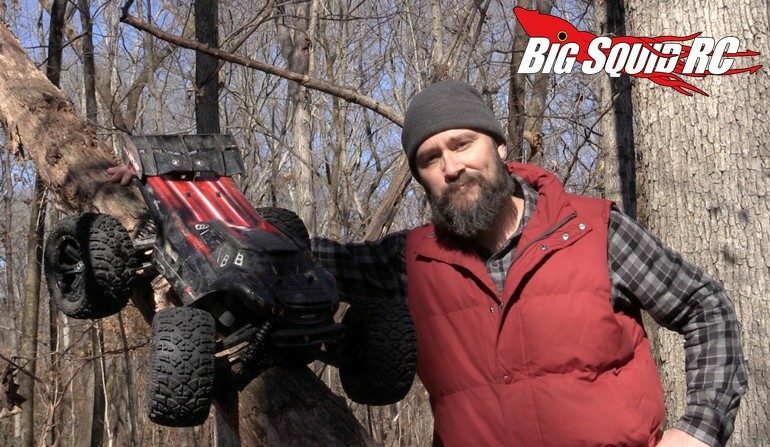 Interview With Matt LeMay & FC Brigham From Redcat Racing « Big Squid RC – RC Car and Truck News, Reviews, Videos, and More! Right about a month ago we posted a video that Redcat Racing had worked up showing them durability testing their TR-MT8E BE6S monster truck. The video was truly no holds barred as the Redcat crew put their test truck through an incredible beating, the type of beating that you just don’t see every day. Our entire Bash Crew was pretty stoked to see an rc manufacturer testing their product hard because we know that everyday consumers certainly don’t hold back once they get the product in their hands. We wanted to learn more about the video, as well as more about the crew behind Redcat Racing. We were fortunate enough to get a chance to talk with two people over at Redcat, FC Brigham and Matt LeMay. Keep on reading to find out some of the inner workings at Redcat, plus they totally hooked us up with a Sneak Preview Of Their Upcoming 10th Scale 1.9 Crawler (pictured at the very bottom). 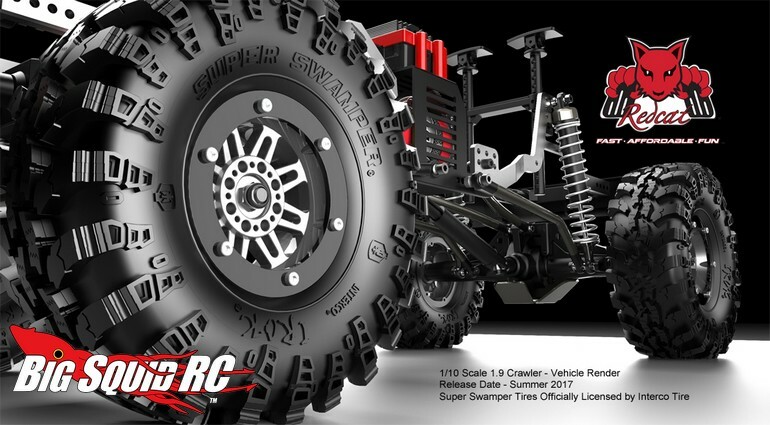 BigSquidRC – Wow, That Was Quite A Video that you guys did during your durability testing of the TRMT8E BE6S monster truck. Who was the person (or people) behind the idea and how long did it take to film? Matt LeMay – The initial idea for the TRMT8E-BE6S durability video was FC’s. I just gathered my team, picked some gnarly locations, and made it happen. We shot the truck in several different locations, spending a full day or more at each. One location, in particular, I needed to build a jump suitable for serious abuse. Lol. As you can imagine, my team and I had a great time with the TRMT8E-BE6S. It’s an amazing truck! BigSquidRC – In the information below the video, you state that the truck only suffered a torn tire during testing. How is that truck doing today? Is it still alive and kicking? Matt LeMay – Yes, that is true. The only thing that broke on the truck was a torn tire. That includes the making of the teaser video, running video, as well as the durability video. I personally put his truck through a lot of abuse and it just keeps getting back up for more. Today, the truck is alive and well, in fact, that’s the very truck with me in the photo. 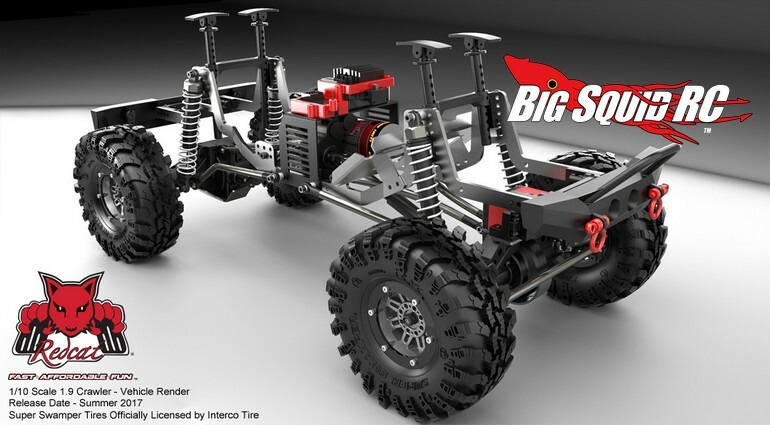 BigSquidRC – Do all the trucks in the Redcat line-up get that type of testing before release? FC Brigham – No. The BE6S received special attention for the following two reasons. First, it is one of the most fun and exciting rc vehicles in the market today and once you get your hands on the radio, you don’t want to set it down. Second, it’s tough as nails and very forgiving of driver error; making it possible for users to keep attempting the ever elusive double backflip 72+ times before making a successful landing. That said we have do have a standard and comprehensive testing cycle that is applied to all new vehicles prior to release. Then once they are released we are committed to and have established processes in place to ensure we are identifying and making continuous improvements on all of our vehicles. It is this process and commitment to continuous improvements that has helped to strengthen the Redcat brand. 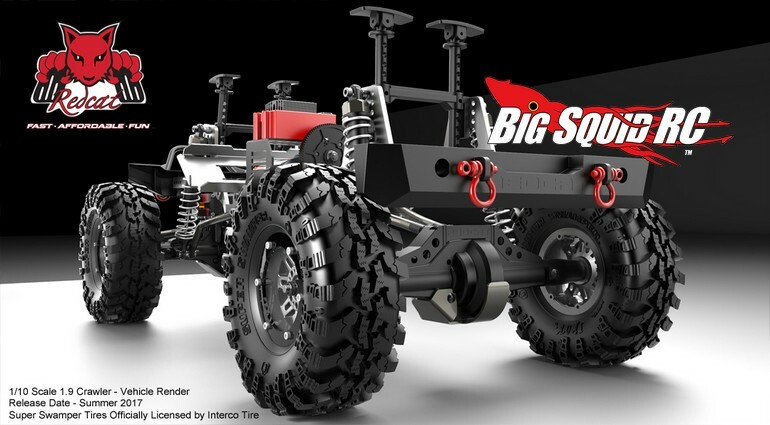 BigSquidRC – We are also big fans of the Redcat Holiday Demo Derby Video. Do you have any cool behind the scenes stories about it? FC Brigham – Well as you know the fourth quarter is the busiest and most hectic time of the year for everyone in our industry. Each year we try to do something to blow off steam. In past years we have done some head to head team building events but this year we thought we would try something different. After tossing around a few different ideas we kept coming back to the demolition derby and it just kinda stuck. The short video we were able to put together for this event doesn’t even come close to capturing the carnage we put these vehicles through. BigSquidRC – The Redcat of 2017 seems much different than the Redcat of 5 years ago. For example, you are offering higher-end vehicles and last year your products started being sold at Tower Hobbies, perhaps the biggest retailer of rc cars in the USA. What would you like to see Redcat accomplish in the next 5 years? FC Brigham – Thanks for noticing. You are correct. The company and brand has dramatically matured in the last 5 years and continues to grow; and for that, we are extremely grateful that the RC community has been receptive and supportive of all the changes we have made during this time. Along the way it has required a lot of hard work, a dedicated focus on making and implementing continuous improvements in everything we do across the board and most importantly making sure we are always listening and staying connected to our dealers and customers. BigSquidRC – Care to give our readers an exclusive teaser about any upcoming projects? FC Brigham – We are typically tight lipped about projects we have in the hopper, that said we have a couple of very exciting new vehicles in development as we speak. 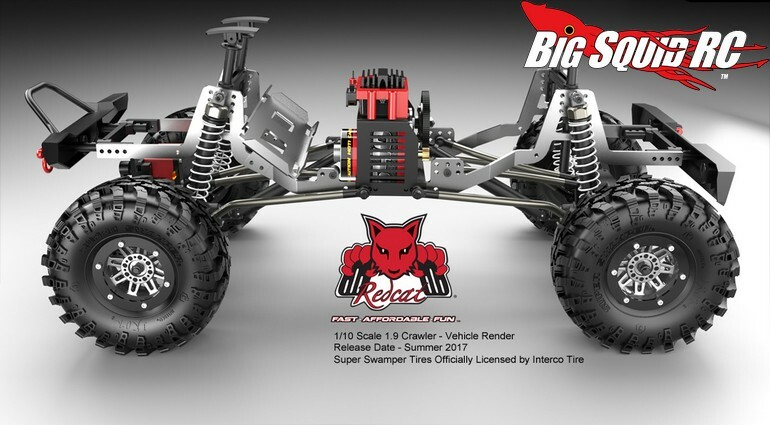 The first project is a True Scale 1.9 Crawler which will be released this summer and will have a price point under $200.00; ensuring that Redcat is keeping crawling affordable. And for other project….. Well let’s just say, there is nothing like it in the market today. BigSquidRC – Thanks so much for taking the time to talk with us, is there anyone out there that you would like to thank? FC Brigham – No one in particular, but I would like to give a great big shout out to all of the loyal Redcat Racing Customers. Keep bashing and we will keep providing you with FAST | AFFORDABLE | FUN R/C products. We would like to give a huge thanks to FC and Matt for taking the time out of their busy schedules to talk with us and we can’t wait to see what they have in store for the rc world in 2017. If you would like to check out their entire range of rc products simply use This Link to visit to their website.